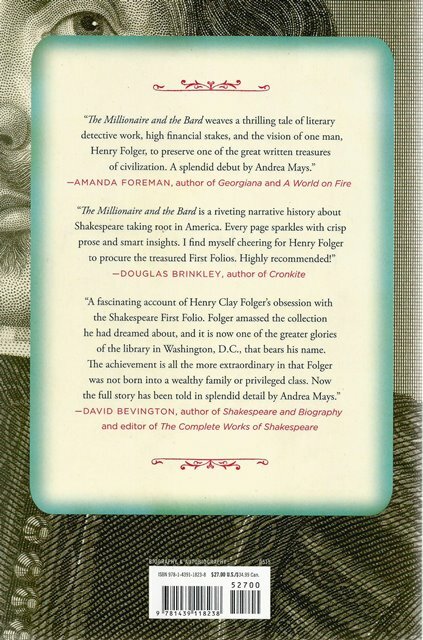 The Millionaire and the Bard by Andrea Mays tells the miraculous and romantic story of the making of the First Folio, and of the American industrialist whose thrilling pursuit of the book became a lifelong obsession. When Shakespeare died in 1616 half of his plays died with him. No one-not even their author-believed that his writings would last, that he was a genius, or that future generations would celebrate him as the greatest author in the history of the English language. By the time of his death his plays were rarely performed, eighteen of them had never been published, and the rest existed only in bastardised forms that did not stay true to his original language. Seven years later, in 1623, Shakespeare's business partners, companions, and fellow actors, John Heminges and Henry Condell, gathered copies of the plays and manuscripts, edited and published thirty-six of them. This massive book, the First Folio, was intended as a memorial to their deceased friend. They could not have known that it would become one of the most important books ever published in the English language, nor that it would become a fetish object for collectors. 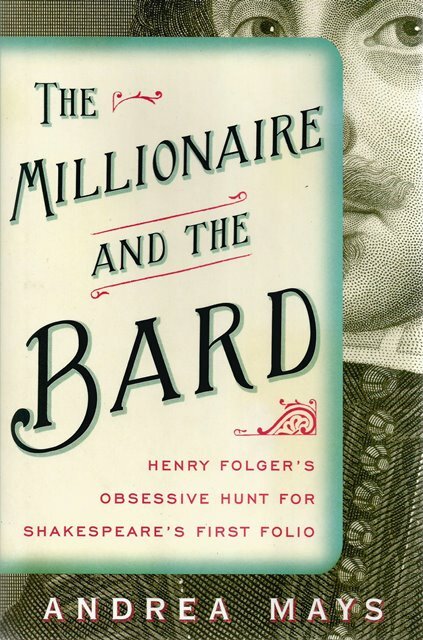 The Millionaire and the Bard is a literary detective story, the tale of two mysterious men-a brilliant author and his obsessive collector-separated by space and time.